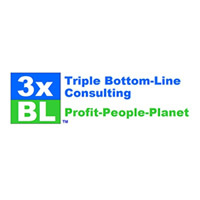 3xBL has the general mission to support the design and implementation of inclusive business models. In practice, their experience is concentrated in healthcare, to improve access-to-medicines for under-served populations. Their goal is to create sustainable (profit expected), scalable, transferable business models in healthcare. Olivier Jarry offers 28 years of experience in life sciences, nutrition, high tech, strategic advisory and management consulting. His focus is on identifying new market trends and unmet needs, conceiving strategic and tactical moves in response to those, building such moves into realistic operational plans and incorporating change management and performance monitoring processes. He also enjoys building learning teams and encouraging experimentation and best practice sharing. Trained as an aerospace engineer, Olivier began his career in 1984 as a Paris-based consultant with Accenture’s Strategy Consulting division. In 1996, Olivier joined Danone as VP of Finance and Operations for North America and then moved to Danone’s headquarters to head strategy and business development for the global Beverages Division. From 2001 to 2009, Olivier worked at several divisions at Novartis, including Consumer Health, Vaccines, Sandoz (generics) and Pharma, with placements in Brazil, China, India, USA and Switzerland. His responsibilities alternated between regional line management and headquarters roles in strategy and business development. 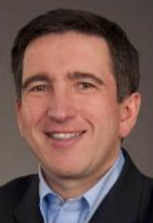 Most recently, Olivier served as Global Head of the Diabetes Care business at Bayer, based in the USA, and as Head of Strategy, Operations, Market Access for the Emerging Markets division of Bristol-Myers Squibb. Olivier holds an M.Sc. / Engineering Diploma in Aerospace Engineering from École Centrale de Paris and an Engineering Diploma in Military Engineering from Délégation Générale pour l’Armement, France. He also holds an MBA from the TRIUM Global Executive MBA program, which includes Stern Business School (New York University), London School of Economics (LSE), and Hautes Études Commerciales (HEC) Paris.